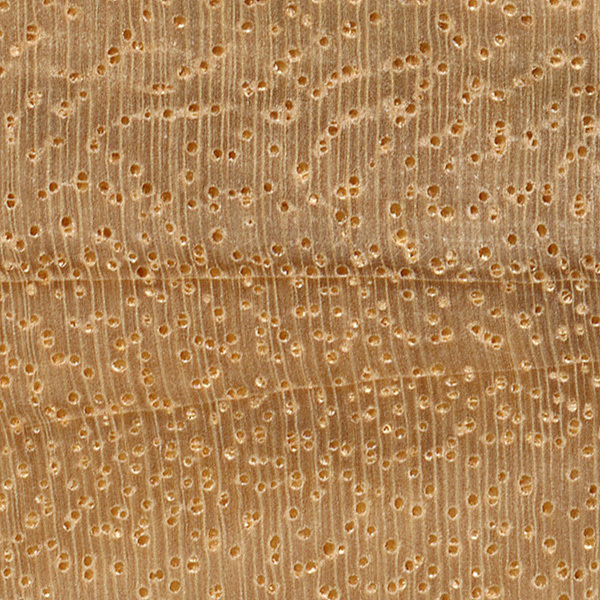 Color/Appearance: Usually ranges from a pale cream color to a golden yellow. Color tends to darken and redden with age. 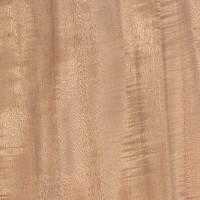 Can exhibit a ribbon-like chatoyant grain pattern similar to quartersawn Sapele. 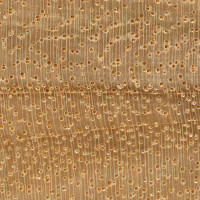 Grain/Texture: Grain usually ranges from straight to slightly interlocked. Medium texture and medium sized pores, with a naturally high luster. Rot Resistance: Heartwood is somewhat resistant to decay, though it is susceptible to insect attack. Primavera has good overall weathering properties. Also, heartwood and sapwood are not well defined and look similar in color, with the sapwood being perishable. 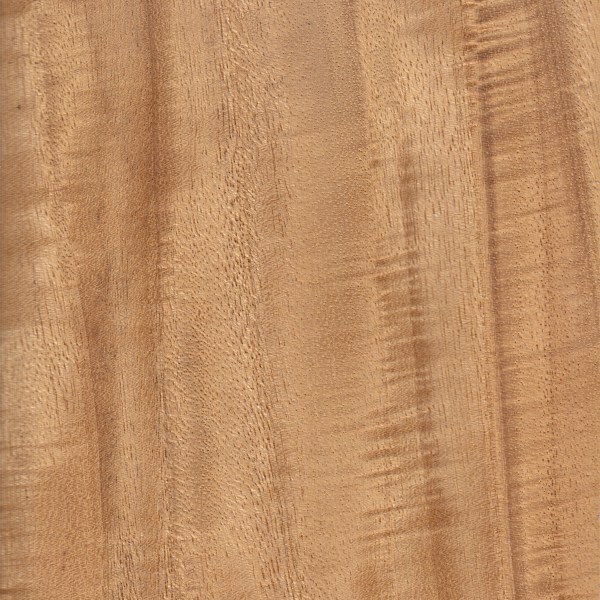 Workability: Although Primavera frequently has interlocked and irregular grain, it is overall quite easy to work: most likely on account of its rather low density compared to other hardwoods. It does, however, have a moderate blunting effect on cutting edges, so carbide tools are recommended. 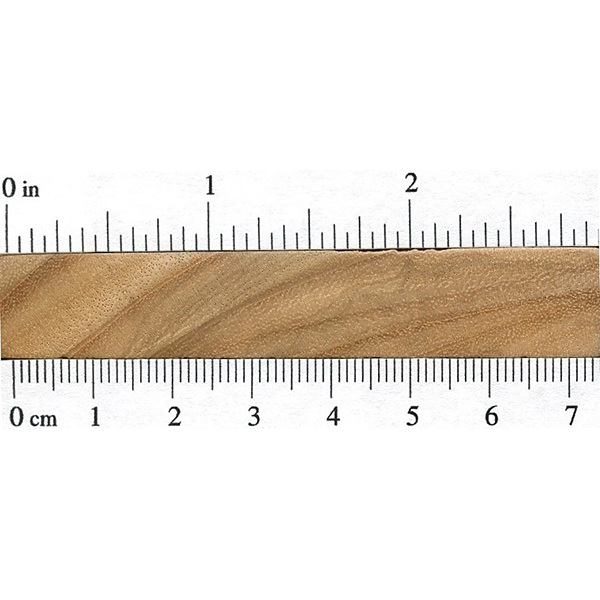 Primavera also tends to split when nailed or screwed, so pilot holes are recommended despite the wood’s softness. Turns, glues, stains, and finishes well. Allergies/Toxicity: Although no known direct testing has been performed, Primavera has been found to contain Lapachenole and Lapachol, two sensitizers found in other wood species that are known to cause skin irritation. See the articles Wood Allergies and Toxicity and Wood Dust Safety for more information. 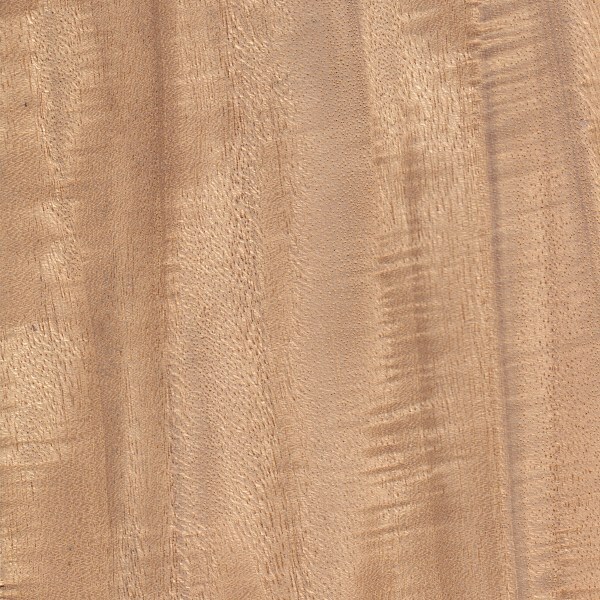 Pricing/Availability: Primavera is commonly sold in both lumber and veneer form. 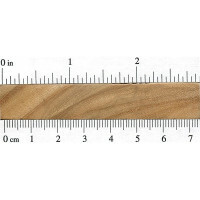 Prices should be in the mid-range for imported lumber; prices are likely to be stabler than other tropical American exotics since it is also plantation grown. Common Uses: Veneer, furniture, cabinetry, and interior trim. Scans/Pictures: A special thanks to Steve Earis for providing the veneer sample of this wood species. From my limited experience with it, this wood smells of persimmon when being worked. Anyone else notice this? Here is what primavra looks like. it does not have same grain as african mohogany at all. A very tight and lusterous wood grian will likely not show thru the PBK white wood wash look.